I didn't believe podcasts could add much value but having read about how easy they are to set up and how the content can be created (e.g. an interview between yourself and a client or a partner company); I realised that actually having some regular content recorded is more likely to get subscribed and listened too. An interview could then get transcribed and made available via both email newsletter and as a podcast - killing two birds with one stone. Include some visuals on top of it and add it to YouTube as per my previous post! What if there was a way to cut through the noise, get noticed, and make a real connection with your audience? For many businesses, on-demand audio content is the way to do just that. Podcasting is gaining in popularity, as you may have noticed, but the medium is not oversaturated. There’s still plenty of room in the market for you, so don’t worry that you’re too late to get started. It could be argued that podcasting is not right for every business. It could also be argued that blogging is not right for all businesses. Yet, if your business takes content marketing seriously, then podcasting can be a strong component of your content strategy. 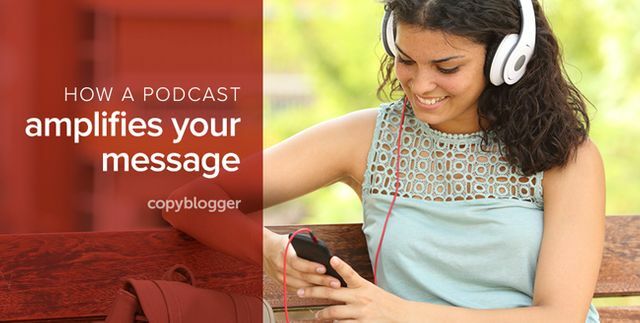 Here are four reasons to embrace podcasting as an integral part of your strategy.